On the north coast of Mauritius, Paradise Cove Boutique Hotel is nestled in a lush tropical garden, which blends Mauritian traditional architecture and contemporary exotic decoration. It is an adult exclusive hotel where couples and honeymooners enjoy love nests in intimate surroundings. 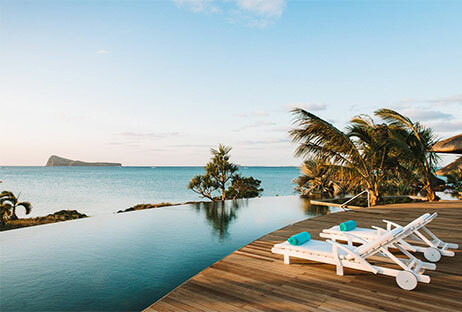 At the tip, the Blu Restaurant and Bar with its new infinity pool overlooking the turquoise lagoon, offers a spectacular view on the northern islands. Four restaurants offer a choice of local and international dishes around the innovative concept called ‘Dine Around’ where guests discover 3 of them: The Dining Room, XO and The Cove. The Blu Restaurant and Bar overlooking the lagoon provides a vibrant atmosphere. The S.T.A.Y bar, the Rum Gallery and the Scellar boasts a wide range of beverages for all tastes. At sunset, live acoustic music and a piano-bar add a melodious and festive touch to the warm evenings. Paradise Cove Boutique hotel has 2 swimming pools and numerous nautical and land activities like kite-surfing, windsurf, canoeing, water-skiing and catamaran trips. The famous ‘Cinq Mondes’ spa keeps its promise of sheer indulgence and tranquillity, with a choice of massages, tropical aromas, flower baths and a hammam. Situated on the ground and first floors, the 60m² Club Junior Suites offer intimacy, comfort and romanticism, along with access to the VIP lounge, suitcase service, concierge service, and in-room arrival and departure formalities. Spacious and comfortable, these 90m² suites privilege both the inner and the outer living space. Situated on the ground floor, these suites are a combination of chic and intimate setting. The rooms also offer access to the VIP lounge, suitcase service, concierge service, and arrival and departure formalities within the rooms. The main restaurant opens up on a wide terrace overlooking the swimming pool area with a view on the gazebos along the wooden deck. 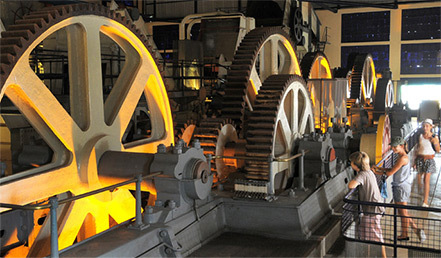 Opening hours: from 07h00 to 10h00 and 19h00 to 22h00. The restaurant XO is typical, with large benches standing against a wall dressed in wood and covered with old black and white pictures of Mauritius. The S.T.A.Y bar, is chic and warm due to its decoration which is sober and friendly; “basket” lampshades hanging from the natural and white wood beams and white lattice work subtly isolating it from curious gazes. Note: Casual; at dinner time, shorts are not accepted in the restaurant & bar area. Entertainment and theme evening every night (light entertainment, piano-bar, guitar-bar, Séga show). At Paradise Cove it is believed that life is a collection of unique moments and once you set your foot in, you are invited to live and share these moments with your other half and the people who have arrived to support you on this fascinating journey that married life is. So, what are you waiting for? Come, create and collect “you and me” moments with those people you truly love! Whether it is vibrant moments that make you feel alive, forever moments, quiet, slow and simple moments, or moments that you can take to catch your breath and to reflect, Paradise Cove Boutique Hotel offers the right environment for every type of romantic and intimate experience. Withdraw with your better half at the far end of the hotel grounds,right off the shore and opposite breathtaking views of the ocean, in one of the 16 love nests under thatch roofs. Or stroll hand in hand through what it could be the Garden of Eden - a tropical garden with bushes of red and orange colored Indian jasmines, hibiscus and bougainvilleas, sweet-smelling frangipani trees and creepers running along the pergolas. 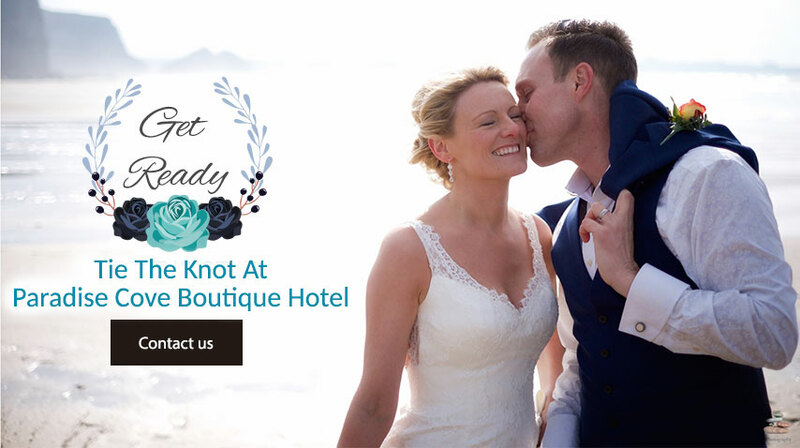 There are two equally competent packages offered by Paradise Cove Boutique Hotel: the Classic Wedding Package for an elegant and stylish celebration and the Upgraded Wedding Package for elegant, stylish and a bit more elaborated experience with a few extra services to depict your big day. The Classic Wedding Package offers everything that you would need for a dreamy wedding day when you wish for your love to be at the epicenter of all happenings. An especially dedicated area will be set up only for you and details such as the bride’s bouquet and the groom’s buttonhole will be taken care of by the professional wedding coordinator. A duo of musicians will set the atmosphere during the ceremony with their romantic melodies at the background and a charming dinner will favorably close the night. But the celebrations don’t end there - you and your other half will be treated with extra attention, offered Paradise Cove’s honeymoon amenities and romantic turndown, as well as a post-wedding celebratory breakfast served in your room the next morning. The Upgraded Wedding Package adds to its services personalized care for the bride and the groom-to-be before the big day. You will start the wedding preparations with a duo massage ritual at the Spa, which is a partner of the world famous French brand Cinq Mondes. You and your better half will indulge into sheer moments of relaxation and well-being either in the double treatment room or in the open air spa at the water’s edge, sheltered from prying eyes. An especially decorated location will become the birthplace of your new life together as a married couple. And because we know how important it is to be able to relive the sentiment, the warmth and the glory of the day, only with this package you will benefit from the accredited services of a dedicated photographer, who will follow you around for the whole day and capture all the moments worth to be shared again and again! Your wedding day should be the best day of your life and shouldn’t be any different from the way you have dreamt of it-unless of course it turns out to be even better! Paradise Cove Hotel studies your needs first and commits to create a fun and tailored-made experience, based on the optional services that has in store for you. Thus, if you are looking for an unforgettable and seamless experience, share your ideas with the fairy of Paradise Cove Hotel (aka the specialist wedding coordinator) and you will be guided through a selection of additional services to choose from. 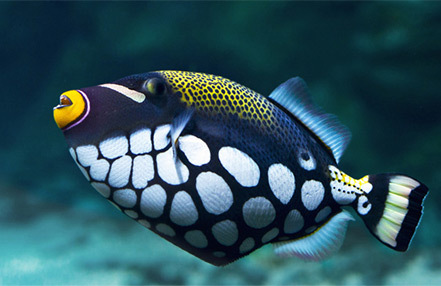 We would like to warn you that they are all very tempting and unique-from the 2-hour boat trip to Grand Bay and the live sega show to the catamaran sunset cruise and the beauty services. 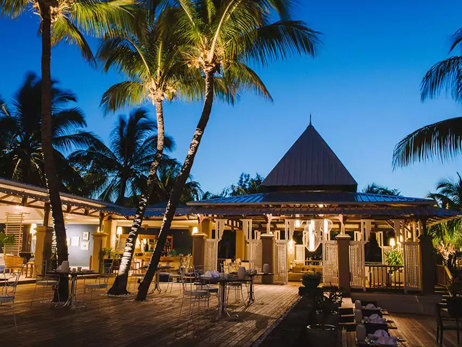 Situated on the northern coast of Mauritius at Anse la Raie, Paradise Cove Boutique Hotel is the ideal destination for a charming and romantic escape to your exotic dream. This exclusively adult hotel offers a peaceful and tranquil holiday for couples, honeymooners, friends and families who want to spend more fun time together and leave behind the stresses of everyday life. The hotel is surrounded by the turquoise waters of the Indian Ocean and is nestled in a spectacular spacious tropical garden around a beautiful cove in very private and intimate surroundings, offering a spectacular view of the five northern islands. The beautiful tropical garden with bushes of red and orange coloured ixoras, multicoloured hibiscus and bougainvilleas, sweet-smelling frangipani trees as well as creepers running along the pergolas is a real haven of delight. The hotel has 67 rooms and suites and combines harmoniously the Mauritian traditional architecture and contemporary exotic decoration. Choose the type of room or suite that suits you the best from four categories: Deluxe,Deluxe Premium, Club Junior Suite and Club Senior Suite. The materials and colours chosen endow the rooms with a soft and serene atmosphere, offering comfort and intimacy. All the rooms open on a terrace or a balcony fitted with a double armchair for real relaxing moments with the cove, the love nests and the lagoon in the background. 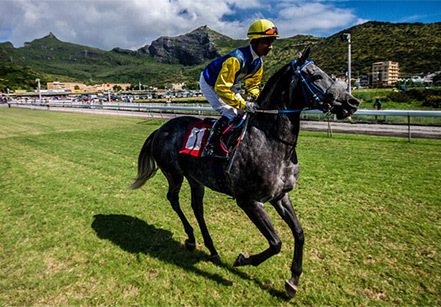 The Paradise Cove Boutique Hotel is also a hub of entertainment, water and land activities. Whether it is snorkeling and stand-up paddling that you like or you are after more extreme sports, such as windsurfing and water skiing, there’s the right type of fun for every personality. And if you prefer to stay dry and exercise on the shore, then look for the two tennis courts, the fitness centre or the yoga classes. At sunset, live acoustic music and the piano-bar are an absolute guarantee of a nice evening within a convivial atmosphere at the S.T.A.Y and BLU bars. The hotel features a unique ’Dine Around‘ concept which allows guests to dine in any of the four restaurants, offering a diversity of taste and island specialities. The Chef and its team will invite you to discover eclectic local and international cuisine in one of the restaurants: The Dining Room, XO and The Cove, Indigo Restaurant & Pop-in Bar. The infinity pool, which gives the illusion that it merges into the ocean, fitted with a superb wooden deck and comfortable sunbeds, is the ideal place for prolonged sunbathing and relaxation. But for deeper relaxation, visit the spa, and rejuvenate in one of the four single rooms, the double room or the swimming pool, where the experts will offer a large choice of well-being treatments: facials, massage, tropical aroma and flower baths and hammam. 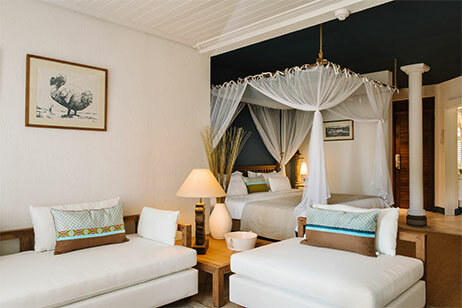 Situated on the northern coast of Mauritius at Anse La Raie, Paradise Cove Boutique Hotel is the ideal destination for a charming and romantic escape to your exotic dream. There are many things to do in the district of Rivière du Rempart, from snorkeling and scuba diving to trekking along the coast. 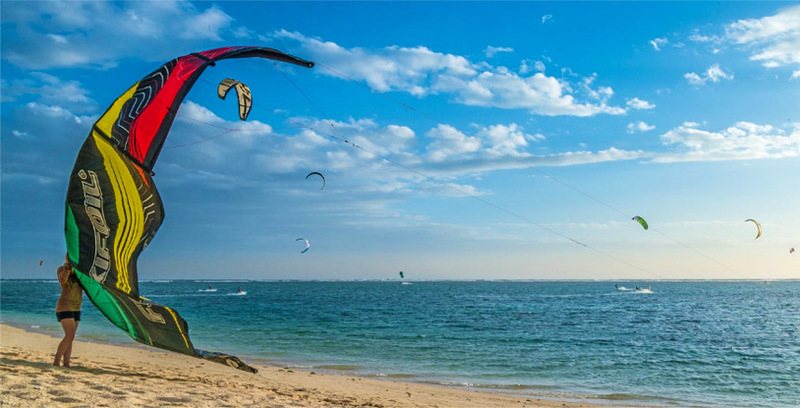 The Calodyne Bay itself offers great opportunities for more extreme activities, such as kite surfing in the clean and clear waters. And if you don’t wish to test your adrenaline levels, relax on the beach-a well-organized public beach with all the basic facilities that will make your visit convenient: beach huts, forested picnic area and restroom facilities. 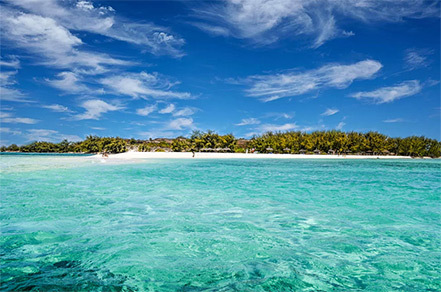 The Paradise Cove Boutique Hotel isn’t far away from the picturesque fishermen’s village of Cap Malheureux and you can even do a three-hour bicycle tour to Cap Malheureux, the Mauritius Cemetery, Bain Boeuf or Grand Gaube Beach and the sugarcane fields. The « Cinq Mondes » world brings together a selection of some of the best treatments, massages and traditional formulas, devoted to the well-being of the body and perfect for soaking in calm and serenity and allowing you to travel around the world of “Beauty Rituals”. « Cinq Mondes » Cosmetic Products combining the benefits of aromatherapy and herbal medicine are from a selection of organic or natural ingredients, formulated under the control of a Pharmacy PhD and allergy tested.